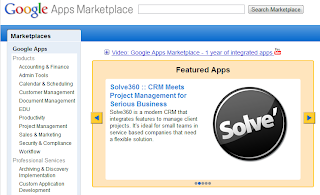 G Suite and Cloud Integration: Congratulations to Norada Solve360 on "Google Apps Marketplace Staff Pick"
Congratulations to Norada Solve360 on "Google Apps Marketplace Staff Pick"
GoogleatWork is the official Twitter home of Google Enterprise plus Google Apps. 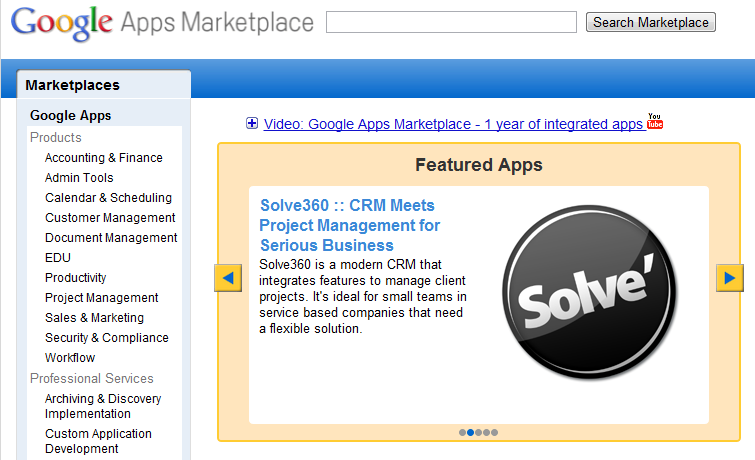 Solve360 received the Staff Pick this past Friday and is a "Featured App" on the Google Apps Marketplace home page. At Interlockit.com we've helped over 25 customers switch to Norada Solve360. Their well deserved average rating on the Google Apps Marketplace is 5 stars on 106 customer reviews. It's a ton of fun helping businesses with Solve360 because it has such a big impact on their operations and is nothing like anything they've seen before. Congratulations to the entire team at Norada.